At InnoSense, we are dedicated to improving the lives of humankind and solving some of the most pressing problems of the day. 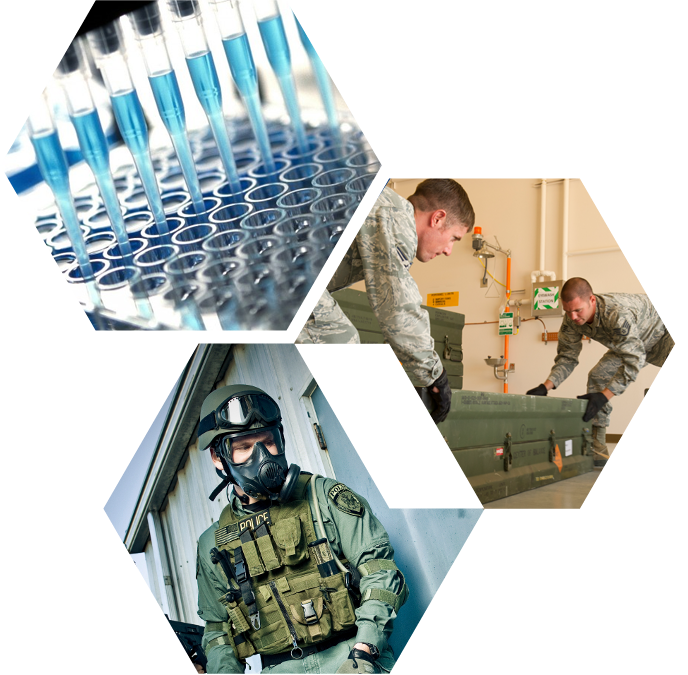 We are a research and development organization working on the forefront of biomedical sciences, materials and sensors to advance healthcare, military, aerospace, energy, and safety/security technologies. As part of the InnoSense team, you would work alongside enthusiastic scientists and engineers to achieve this goal. Our team members enjoy competitive compensation and benefits, and an unmatched working experience. Our family-like and friendly environment fits the company's sunny and warm Southern California location (Torrance, CA). Our employment position is under the Exempt category. We offer insurance benefits for health, dental, life, AD&D and long term disability. We also offer 401(k) retirement plan for employee contribution upon meeting the waiting period requirment. If your ideals, enthusiasm and goals match ours, we invite you to explore the current job positions available below. We have openings for multiple technical positions in our R&D operation. At this time we are only entertaining candidates from the greater Los Angeles, California area. Potential candidates must be a U.S. Citizen or a Permanent U.S. Resident. Salary and benefits are competitive. Designing, developing, integrating, packaging, and testing systems and devices using basic educational knowledge from the fields of biochemistry, chemistry, biophysics, and materials science. This should be carried out by using standard instruments available at InnoSense and other laboratories accessible to InnoSense projects. Prepare and submit grant proposals, reports, manuals, schematics drawings and patent disclosure. Seek vendor/customer input, provide customer support, and maintain a professional relationship with InnoSense LLC customers on a project-by-project basis. (Do not divulge InnoSense operations related information [technical or financial] without first clearing it with the President/CEO or a designated employee). Uphold a clutter-free, professional work environment, and follow all applicable federal, state, and local work-related regulations — including safety rules. Maintain laboratory notebooks and enter all progress of the technical work throughout or promptly after the subtask completion, depending on the nature of the work. Miscellaneous activities such as running errands and/or other administrative office functions. A minimum of a bachelor's degree in Biomedical Science, Physical Sciences (Chemistry, Biochemistry, and Materials Science), Biological Sciences, or Biomedical Engineering. Excellent verbal and written communication in American English, ability to work under deadline demands, active listening, innovation through hard work, strict compliance with workplace rules, complete cooperation with management, and team work. Performing laboratory experiments, developing research funding proposals in the biotechnology area including biosensors, biomaterials, prototype development, and biosensor fabrication using biochemical indicators or receptors and immobilization techniques. Experience in the areas of biomedical sciences, biomaterials science, device packaging, manufacturing, and R&D project experience from concept to production. The Product Manager at InnoSense will champion emerging products and services as well as creating and integrating new product ideas and product add-ons throughout InnoSense's marketspace. In this role, the Product Manager conducts industry/market research to determine product demand, positioning, viability, and profitability. At this time we are only entertaining candidates from the greater Los Angeles, California area. Potential candidates must be a U.S. Citizen or a Permanent U.S. Resident. Salary and benefits are competitive. Create formal business cases and product descriptions and work as a facilitator between the various internal groups to ensure product policy and processes are negotiated, documented, and executed accurately. Lead regularly scheduled meetings centered on system and operational requirements for product changes and new product development. Develops pricing, pricing changes and manages export control and ITAR processes in partnership with external consultants. Pre-empts potential problems and provides effective solutions in reaction to the application of concepts, techniques, knowledge, or processes developed to support the new product or product change. Manage in-life product performance: sales, margin, and churn, conducting extensive numerical analysis using available data. Coordinate and build strong working relations with various internal groups including; Scientists, Engineers, Product Development, & Operation personnel. Lead the development, approval, training, and communication of new products/product changes and their associated customer, operational, system, & process impacts to the various internal and external organizations. Provide support for other internal projects as needed. Meet/exceed and maintain service levels as assigned by management. A minimum of a bachelor's degree.